Four centuries give ample opportunity for fiction to creep in with fact. Who can be sure how accurate Blaise's biographer was? But biographical details are not essential. Blaise is seen as one more example of the power those have who give themselves entirely to Jesus. As Jesus told his apostles at the Last Supper, “If you remain in me and my words remain in you, ask for whatever you want and it will be done for you” (John 15:7). 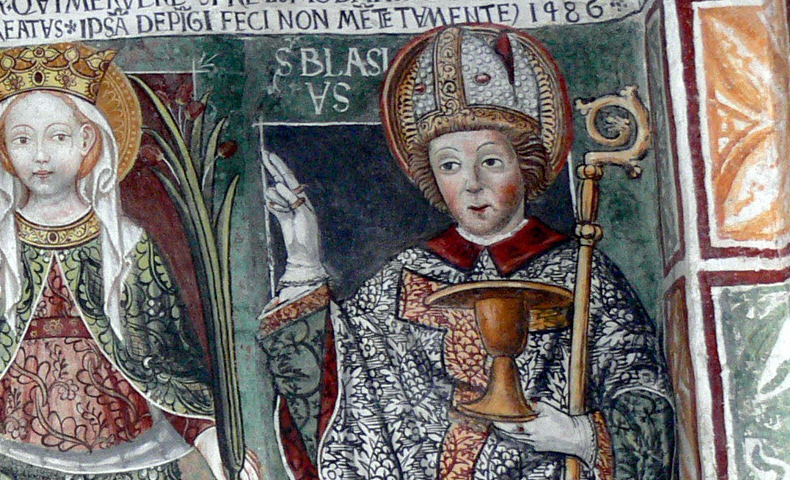 With faith we can follow the lead of the Church in asking for Blaise’s protection.